Even though Thanksgiving is almost here, I'm stopping in today to share a Halloween layout that I created for A Flair for Buttons. That's the great thing about Scrapbooking...you can work on any holiday you want to, all year long! I just couldn't resist putting together one of my favorite photos of our middle daughter in her Halloween costume, with the Halloween Fun Flair set. I wanted most of the focus on my photo, and also wanted to make use of the White space on the left side of my photo. 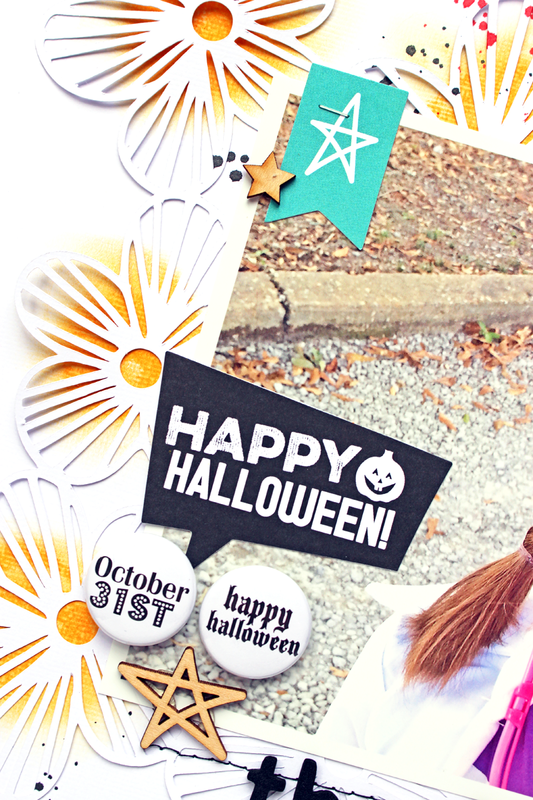 I used two of the Flair Buttons from the Halloween Fun Flair set, right on my photo, along with some tags and wood veneers! 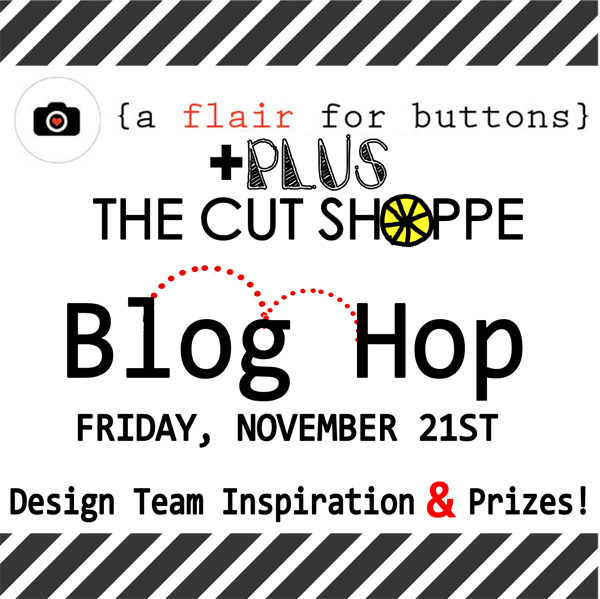 I love the simple Black & White color scheme of these two Flair Buttons, because you don't have to stick with a typical Halloween color scheme on your layout. 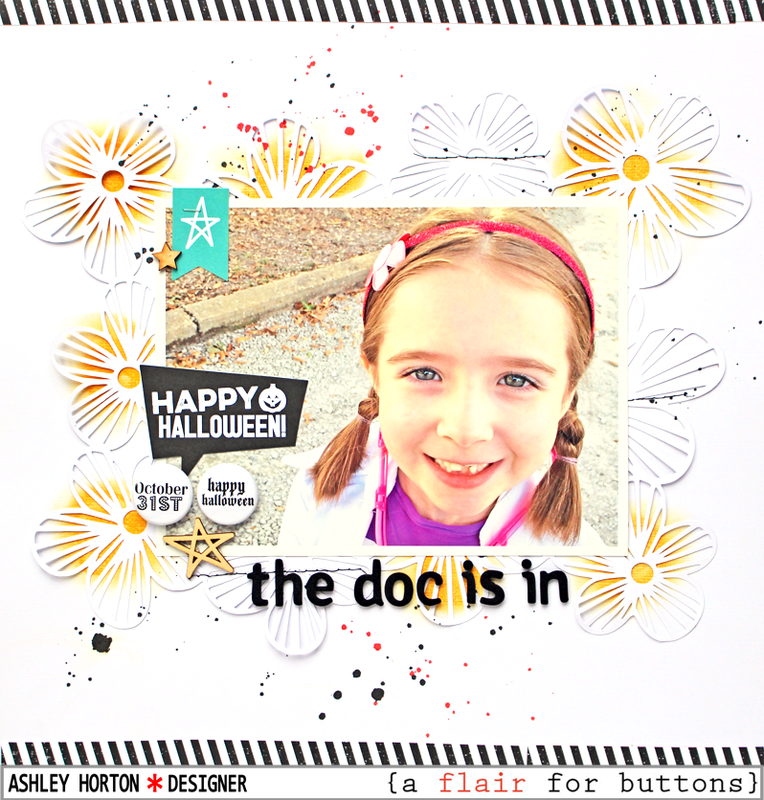 I used a lot of White on this layout, to keep the focus on the photo and then added in traditional Halloween colors, by using small amounts of Black, Yellow and Orange. And I thought it would be fun to use the Flower Power cut file from The Cut Shoppe, to go along with the little flower on Doc McStuffins' headband, and I added some Gelatos under several of the flowers, for a pop of color. 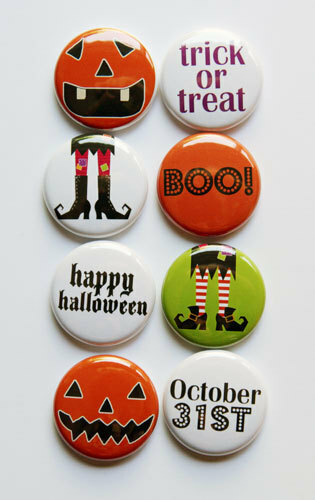 There are lots of fun Halloween Flair sets available in the Shop, so make sure you stop by and check them out! Here's a full look at the set I used for my page. 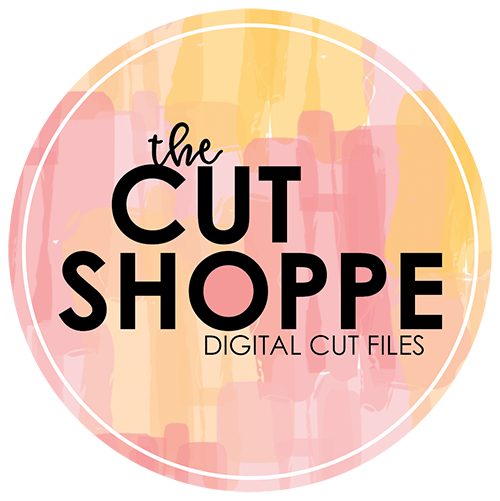 And, I'm excited to share that A Flair for Buttons and The Cut Shoppe will be teaming up this Friday, November 21st, for an awesome Blog Hop! 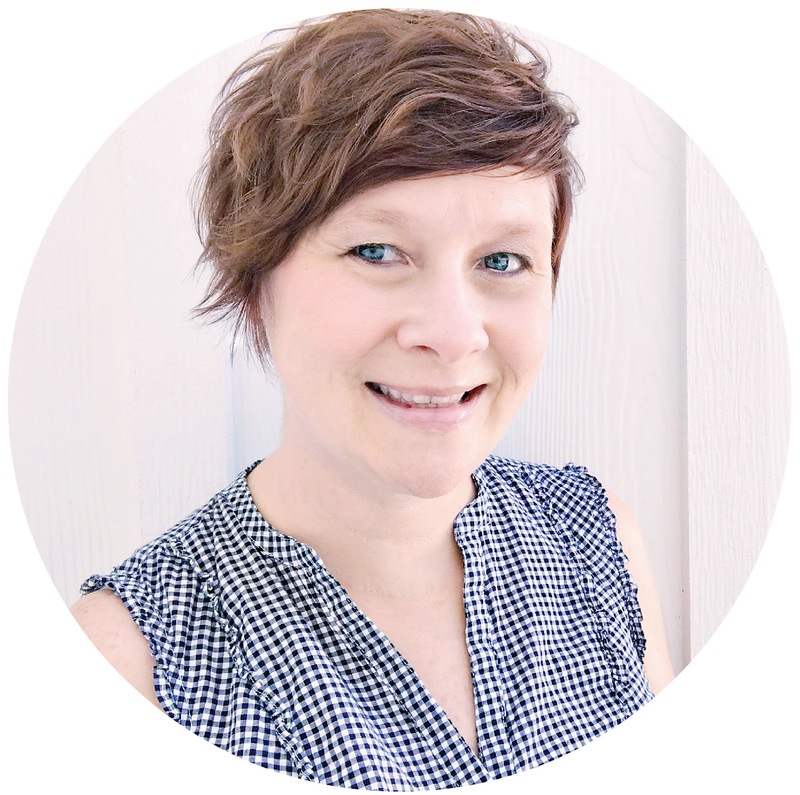 Make sure you join us for all of the inspiration, giveaways and coupon codes for both shops! !